The «Sindicatura Electoral», an organ similar to the Central Board of Elections of Spain (Junta Electoral Central) has been disolved in order to avoid the fines imposed by the Constitutional Court of Spain, which has suspended the Referendum law after the Spanish Government appealed. The explanation for this dissolution, in the words of Catalan officials, is that the Board’s tasks were in a very much advanced state. According to the same referendum law, again: suspended by the Constitutional Court, in which the Catalan Government based their decree to convoke a referendum this dissolution means that there’s no chance that the referendum will take place (or, at least, take place respecting the law that the own pro-independence majority at the Catalan Parliament passed on September 6). 1. The Board is created as an independent and impartial organ linked to the Parliament of Catalonia. 2. The Board is the organ responsible to guarantee, in all the Catalan territory, the transparency and objectivity of the electoral process, and the exercise of the electoral rights. 3. The Board has its institutional headquarters at the Catalan Parliament but can meet in other locations. The Board is an organ conformed by 5 members, lawyers or political scientists of prestige and expertise in electoral processed, named by the Parliament of Catalonia by absolute majority and proposed by parties, federations, coalitions of electors’ associations that hold representation at the Parliament. In any case, the majority of members must be lawyers. Also, two substitutes will be named. 7. To resolve any inquiries, complaints, reclamations and appeals under their competence. 8. To oversee the institutional campaign of the referendum and the diffusion in the media. 12. To perform the General Vote Count. 13. To certify the official results and order their official publication. If after the valid votes count there are more affirmative votes than negative ones, the result implies the independence of Catalonia. For that end, the Parliament of Catalonia, within two days after the proclamation of official results by the Board of Elections, will celebrate an ordinary session to state the formal declaration of independence, concrete its results and initiate a Constituent process. The only organ competent enough, under the own referendum law, to perform the vote count, to certify results and to publish them is the Board, an organ that no longer exists. Only anyone without any knowledge of electoral processes can believe the excuse of the very much advanced works. The crucial functions of the Board are during and after the October 1. The Government of Catalonia has thanked the members for their services and said that the tasks of the Board will be transferred now to other public organisations, academic and international ones. According to the law this is not possible, because it doesn’t include the possibility to delegate the functions to other organs: they must be exercised by the Board and the Board only. And the board must be conformed by five people, not organs or organisations, elected by the Catalan Parliament (and the Parliament won’t meet before the vote). The Catalan Government is not only breaking Spanish law, but also their own legal system created on purpose and outside Spanish Constitutional system, outsourcing the vote count and certification to unknown entities, not named according to the law. A completely arbitrariness that condemns the referendum, already without any guarantee, to lack a vote count and official results. Published originally by David Fernández in Spanish. 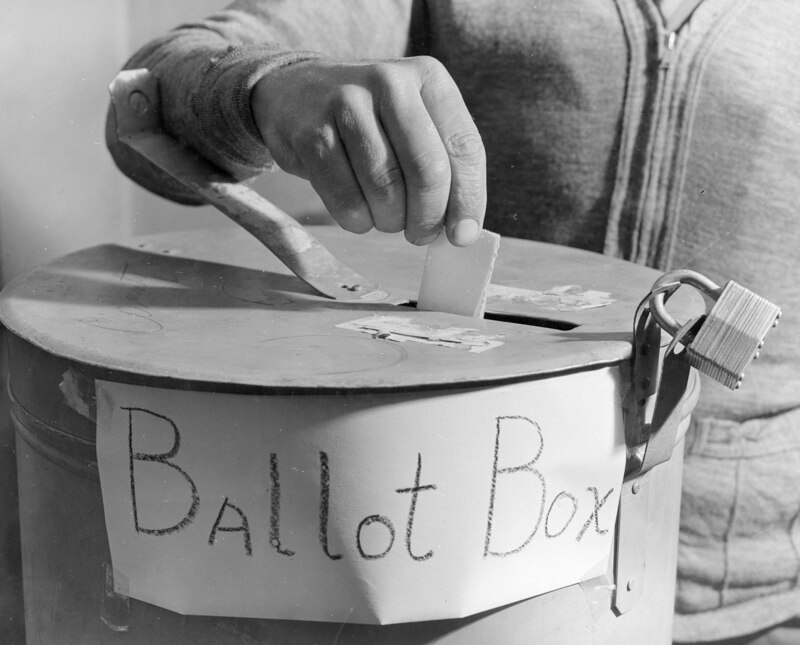 Image: Voting 1940 by IIP Photo Archive on Flickr.